A new Commissioner of Police, Bashir Makama, on Monday resumed duty in Ogun. 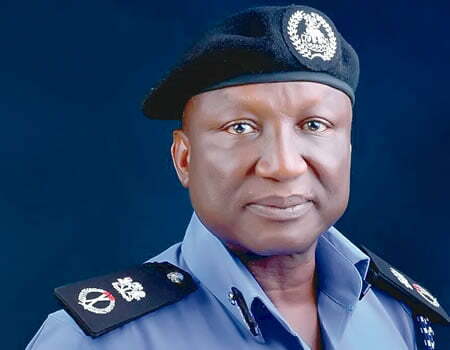 A statement by the State Police Public Relations Officer, Abimbola Oyeyemi, in Abeokuta, said the new police commissioner, a Political Science graduate of Bayero University, Kano, was enlisted into the Nigeria Police Force in 1986 as a Cadet Assistant Superintendent of Police (ASP). Oyeyemi said the CP had served in various Police Commands across the country in different capacities. “He was once an Assistant Commissioner of Police in-charge of Operations in Anambra State, he was Area Commander, Port Harcourt in Rivers State. “He also served as Deputy Commissioner of Police in-charge of Operations in Kano State, as well as Deputy Commissioner of Police in-charge of Special Protection Unit, Force headquarters, Abuja. “He was later posted as Deputy Commissioner of Police in-charge of Adminstration in Anambra State from where he was promoted to the rank of Commissioner of Police in 2016 and posted to Benue State. “From Benue State, he was posted to Force Criminal Investigation and intelligence Department (FCIID), Abuja, as the Commissioner of Police in-charge of Administration, from there, he was posted as Commissioner of Police, Kwara State. “His last point of duty was Akwa Ibom State before his deployment to Ogun State as the new police helmsman,” he said. According to him, the CP is a member of several international organisations, notably the National Organisation of Black Law Enforcement Agents (NOBLE), USA and International Association of Chiefs of Police.